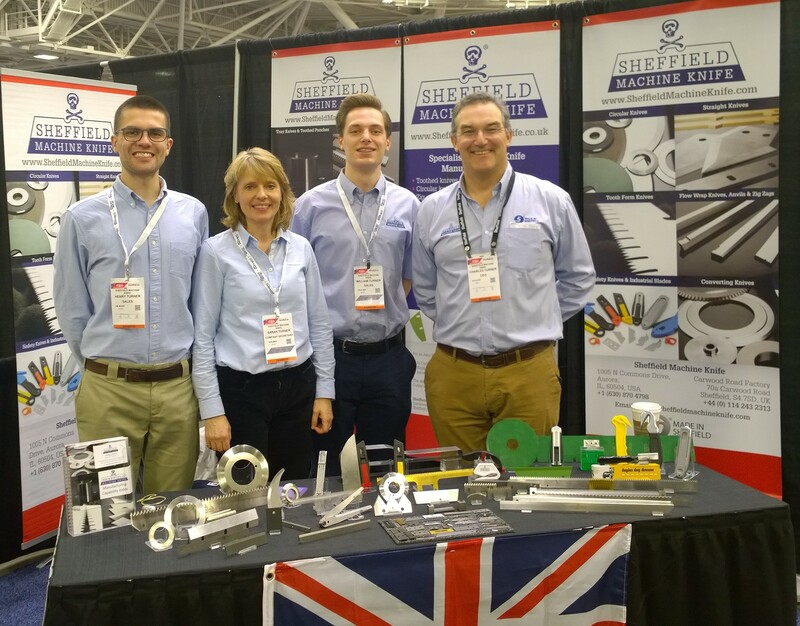 Sheffield Machine Knife exhibited at the MINNPACK exhibition in Minneapolis 31st October - 1st November 2018. Managing Director Charles Turner said " We always enjoy this show and this year was no exception. The mix of medical, plastics and packaging plays to our strengths and this year we were opposite the Institute of Packaging professionals and next to the self driving car track which helped bring a steady stream of visitors onto the stand. As ever it is the spread and mix of ourt manufacturing capability which excited people and we have had some nice orders from the event and subsequent visits."